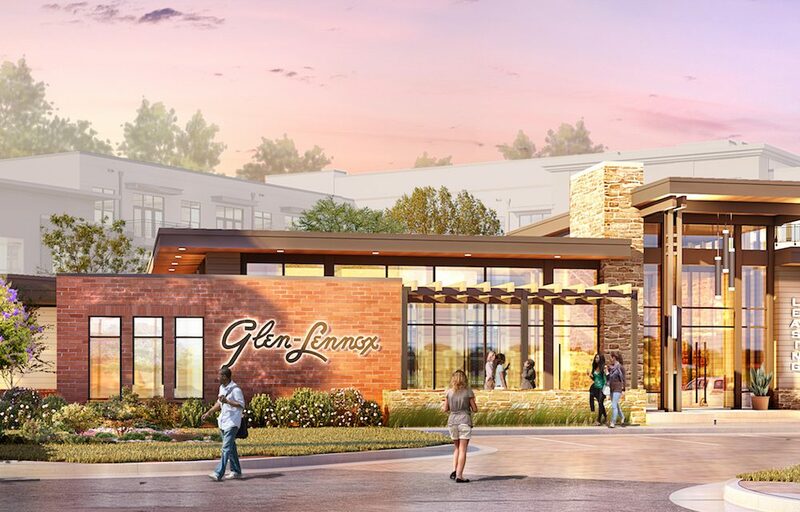 Grubb Properties is proposing bringing nearly 500,000 square feet of office space to Chapel Hill as it is redeveloping Glen Lennox. But in order to get that construction closer to reality, Chapel Hill is preparing to offer more than $2 million in incentives. Chapel Hill Economic Development officer Dwight Bassett said projects like this are needed in the town because of years where no office space was produced. “From 2010 until 2017 – eight continuing years – we produced zero office space coming out of the ground,” Bassett said. President of the local chamber of commerce Aaron Nelson told the Chapel Hill Town Council last Wednesday that this office space would allow the town to be competitive to a wider variety of business prospects. Chapel Hill elected officials approved guidelines in 2017 that included allowing incentives to be awarded when creating spaces to host businesses. But councilmember Hongbin Gu expressed concerns about the precedent of incentivizing development, especially as the town is encouraging office space in other areas. “We’re incentivizing this office development at Glen Lennox, then how is that going to impact our Blue Hill District,” Gu asked. The town would like to see more commercial development in the Blue Hill District, Mayor Pam Hemminger said, but the proposals in the form-based code district so far have been residential. Hemminger said that she felt committing to five years for the incentive timetable for a building that could benefit the community for years to come was not a risk. And the mayor said the office space might not be built at all without the incentives. The town and Orange County approved an incentive package when recruiting Wegmans to Chapel Hill. The grocery store is currently under construction on Fordham Boulevard. An incentive package was also approved for Carraway Village, which is under construction near I-40 and Martin Luther King Junior Boulevard. In this proposal, Glen Lennox would be eligible for up to $2.2 million in economic development grants from the town over the course of five years from 2021 through 2026. Grubb Properties would be eligible for a grant from the town up to the amount of taxes that had been paid by the developer. Wednesday’s vote was approved 6-1 – with Gu dissenting – and authorized town staff to negotiate the final details of the incentive agreement with Grubb Properties. The final document will be brought back to the Town Council for approval.